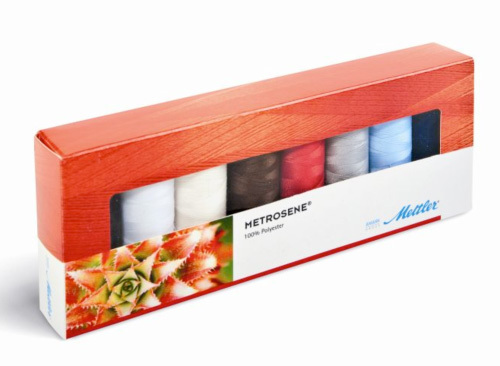 Contains 8 spools of Metrosene All Purpose 2-Ply 40 weight Polyester Thread. 8 164 yard spools. Colors- White 002, Black 003, Red 600, Medium Dark Grey 624, Natural 703, Dark Mocha Brown 712, Indigo 916, Ciel Blue 962.